Copyright © 2017 Magnum Superchargers. All rights reserved. 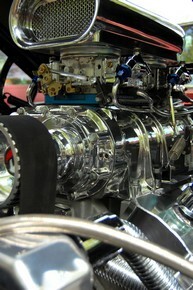 Magnum Superchargers, located in Oak Grove Minnesota, is an engine and speed shop which has been serving the high-performance needs of racers, pro-streeters, and street-rodders alike for thirty-odd years. While we are capable of providing any configuration you may need, we are especially experienced in obtaining maximum performance from regular pump-gas engines. Please browse around using the links at the left to learn more about who we are, and what we do.